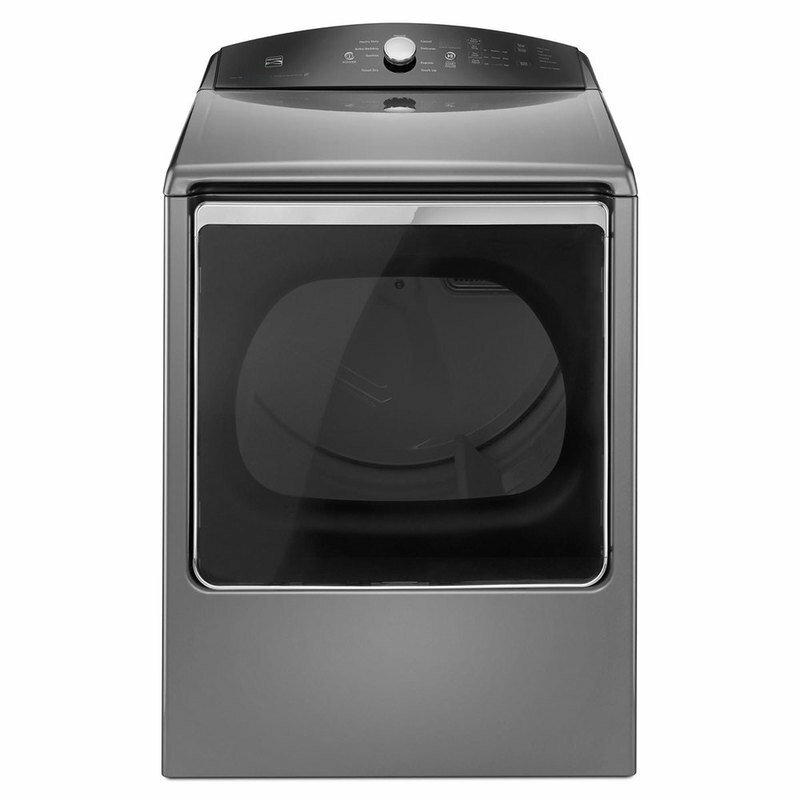 This Kenmore top-load gas dryer features our best drying, thanks to SmartDry Ultra Technology. This four-point sensing system includes two moisture sensors that automatically adjust cycle time, as well as one temperature monitor. In addition, the Quad Baffles reduce balling and tangling. Their unique shape and variable height allow clothes to open up more, which means you’ll get better tumbling and more thorough drying. And at 8.8 cu. ft. capacity, this dryer can keep up with our large-capacity washer and lets you dry multiple loads of laundry at once.